A new patent application from Apple revealed this week shows a wireless display users would wear on their head in the form of glasses or goggles. The application, entitled "Head-Mounted Display Apparatus for Retaining a Portable Electronic Device with Display," shows a pair of goggles with an integrated screen and headphones. The device could wirelessly communicate with another device, like an iPhone, to share content or control the headset. Apple notes that current head-mounted devices often are unwieldy and too complex. The proposed invention would simplify the system and eliminate "redundant features." "There is a need for an improved head-mounted display system, particularly a system that temporarily integrates or merges both mechanically and electronically a head-mounted device with a portable electronic device," the application reads. 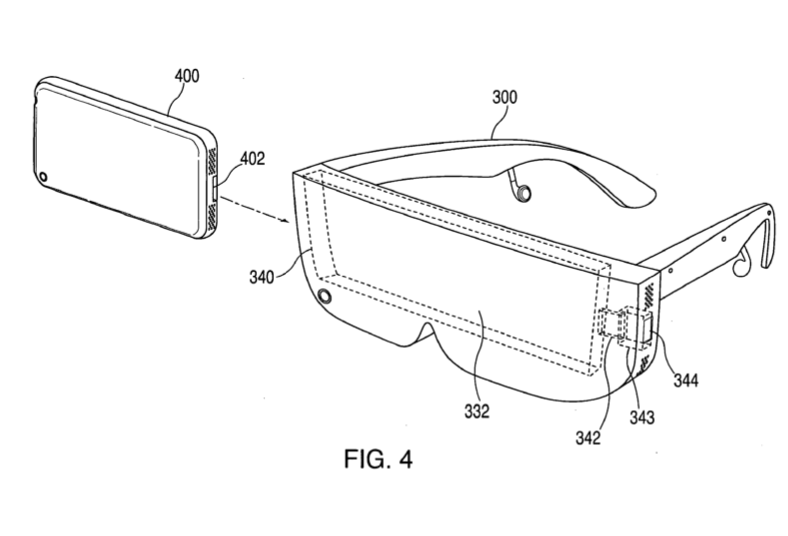 The document describes a head-mounted device with a frame that places a screen directly in front of the user's eyes. 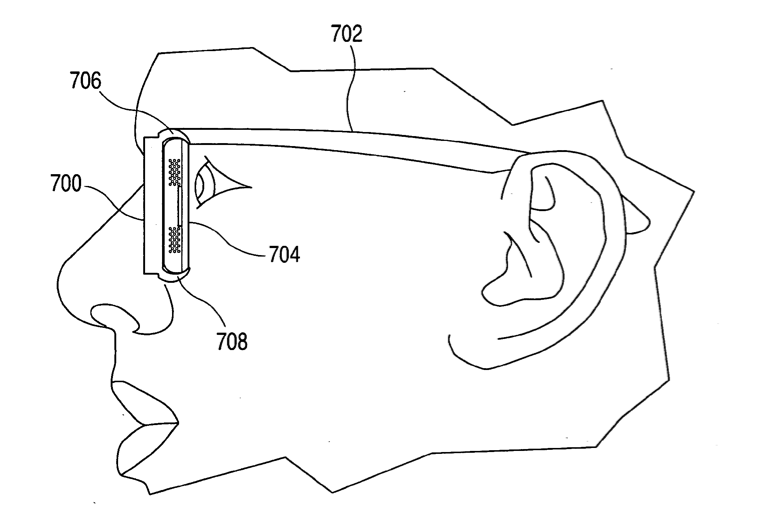 The glasses could be configured to wirelessly display the content shown on the accompanying iPhone screen. The system would also adjust the image so that it would be appropriate for the close-up viewing necessary for the glasses to work. The form factor, the application states, would allow the user to "relax while viewing image based content on the head-mounted device because he does not have to hold onto the portable electronic device." In addition to a display screen, the head-mounted display could include controls, a camera, microphone, speaker, batteries, sensors and more. These could be used for unique control methods while wearing the glasses. "For example," the application reads, "accelerometers on the head-mounted device and/or the portable electronic device can be used to detect the user's head movements. In this example, the head-mounted device... can associate a particular head movement with a command for controlling an operating of the head-mounted display system. "As yet another example, the head-mounted system... can utilized a proximity sensor on one or both of the head mounted device and portable electronic device to detect and identify the relationship between the two devices or to detect and identify things in the outside environment." Filed for on Aug. 30, 2008, the application is credited to Quin C. Hoellwarth. Previous patent applications from Apple have shown interest in portable electronics that can be worn on the head. To date, its most wearable device is the iPod shuffle. Earlier this year, one patent application described a motion-sensing headset that could calculate its orientation to determine whether the user wanted to use the device, or leave it in standby.